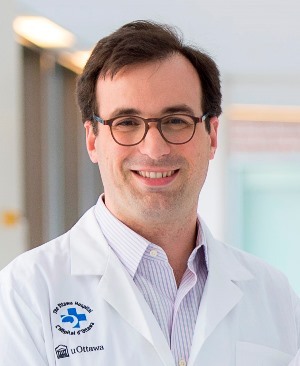 Dr. Tiago Mestre has received a $197,000 New Investigator Award from the Physicians’ Services Incorporated Foundation to test a new model of care for people living with Parkinson’s disease. This project, called the Integrated Parkinson’s Care Network, was developed in collaboration with Dr. David Grimes. People with Parkinson’s disease often need to be seen by a wide range of professionals both in the hospital and the community, and often this care is not well coordinated. The doctors and their colleagues will implement and test a model that puts patients in charge of managing their condition and delivers care in one location. Patients will be paired with an easily-accessible expert nurse in a one-stop shop for people with Parkinson’s. This model has the potential to greatly improve patient care with little cost to the system by breaking down silos across Ontario’s health system. It will be tested and refined at The Ottawa Hospital’s Parkinson disease and Movement Disorders clinic, and may be introduced to multiple sites across Ontario and Canada in the future. “We believe that this patient-centered model can improve quality of life for the 100,000 Canadians living with Parkinson’s disease,” said Dr. Mestre. This research is also supported by generous donors to The Ottawa Hospital and the University of Ottawa Brain and Mind Research Institute. Co-Investigators, Collaborators and Advisors: Monica Taljaard, Clare Liddy, Dorothy Kessler, Kednapa Thavorn, Diane Cote, as well as a patient and caregiver advisory board.